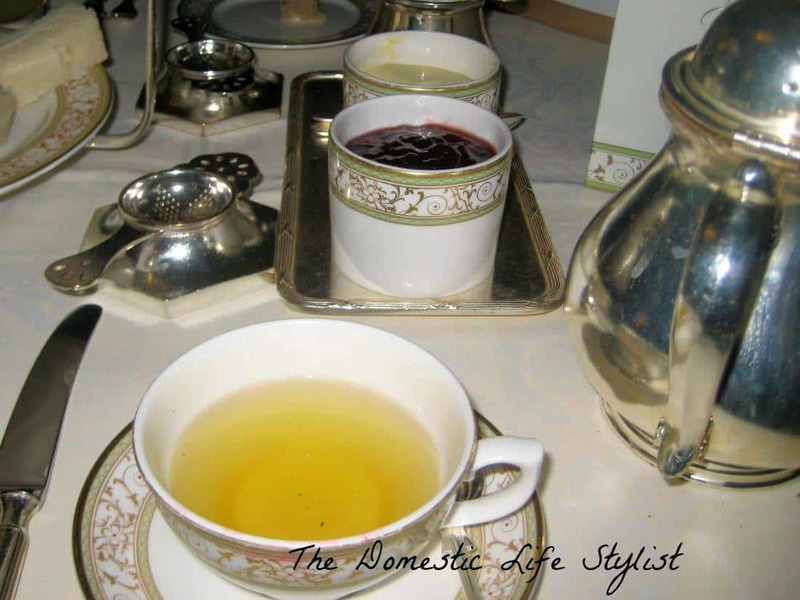 My family and I had the opportunity to have Afternoon Tea at the Ritz London couple of times and I’ve learned a few things along the way. 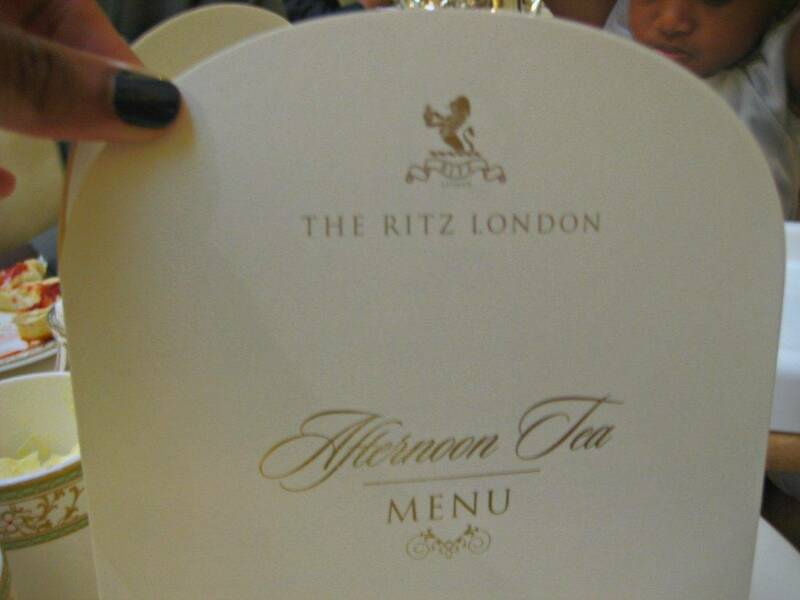 First of all, there is nothing like having afternoon tea in London. 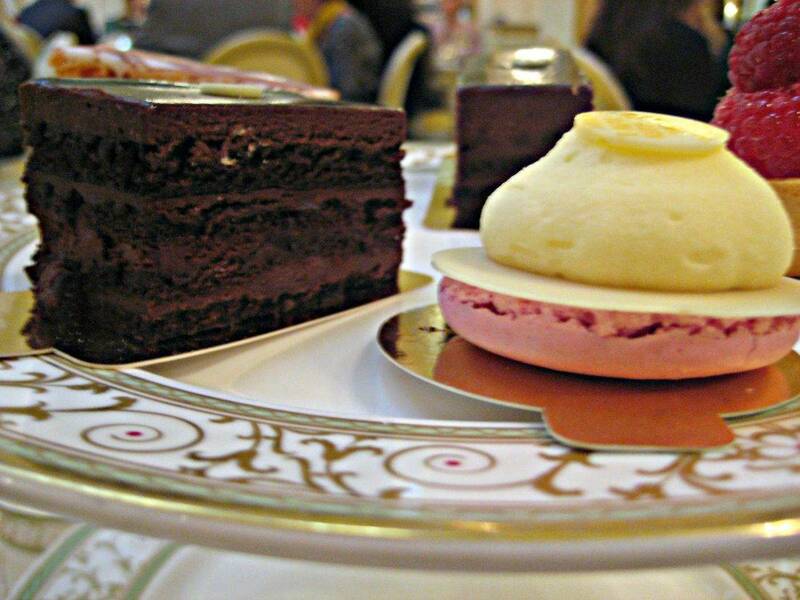 Afterall, the British did invent the concept of Afternoon Tea. 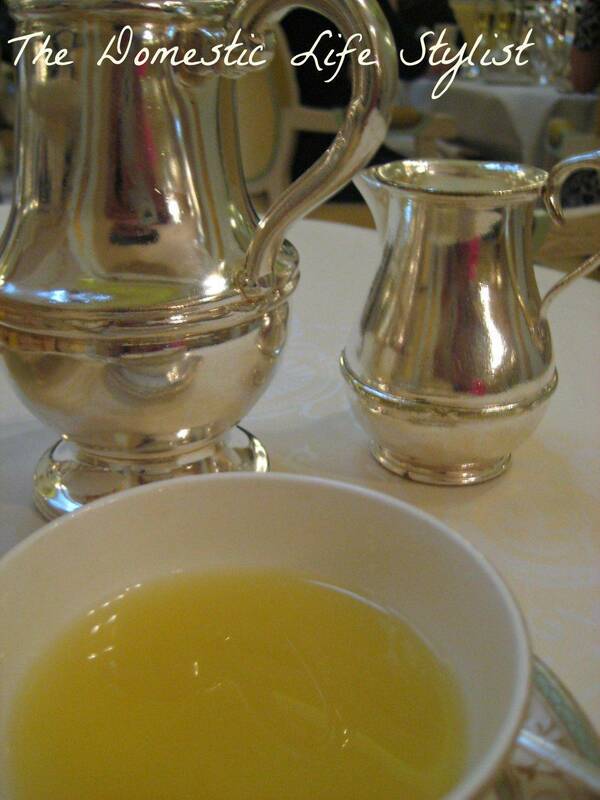 Having tea at The Ritz London is such an institution. Their Afternoon Tea was even listed in the book 1000 Places to See Before You Die. Raising a little girl, gives me the opportunity to embrace all those girlie things like getting dressed up and going to fancy tea parties…even pretend ones. 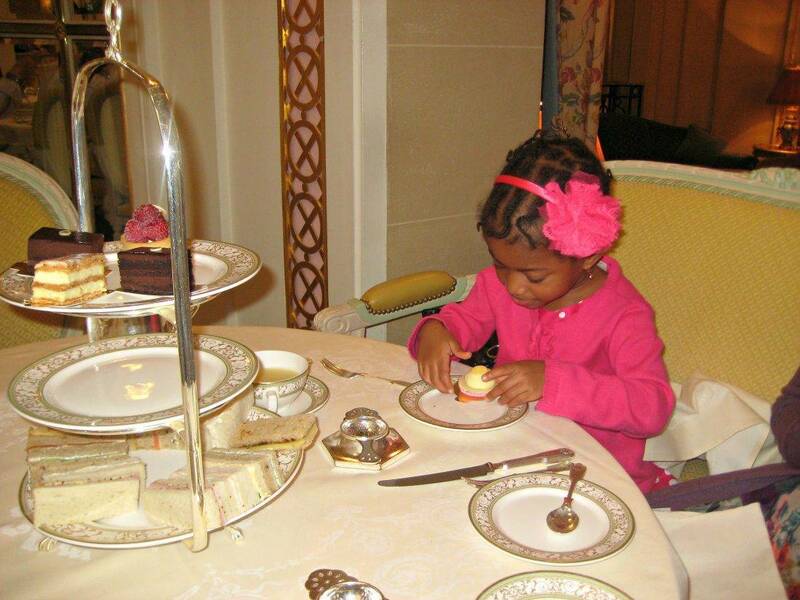 The next time you are having a tea party with your girls (big or small), take a page from The Ritz London and make it a fancy affair. 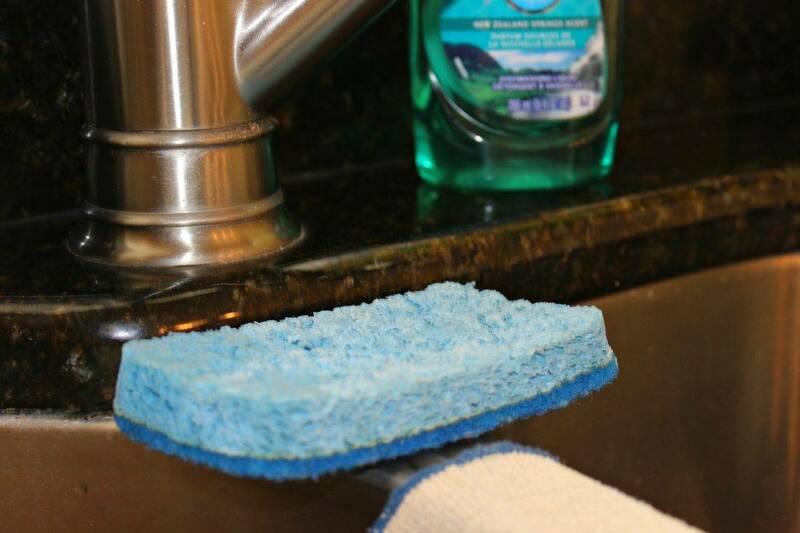 Now your setting does not have to be the Ritz to give it class and flair. Simple things like adding a table cloth to your table and adding some “grocery store bought” fresh flowers to your tea party are special touches that can make a spring tea party special. The upcoming Easter holiday is a great excuse to have a special afternoon tea. By the way, your spring tea party does not have to be indoors either. Spring blooms in a garden can add all the atmosphere that you need. 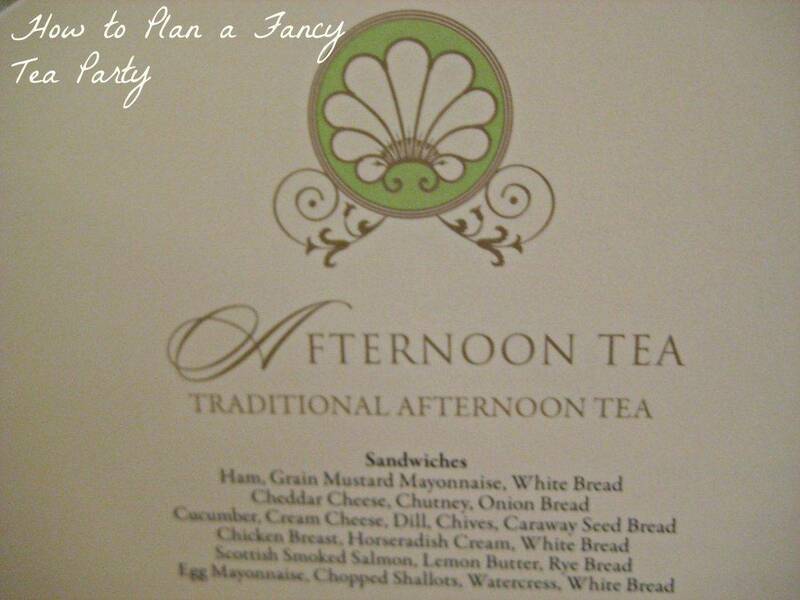 Selecting a menu is one thing but, if you really want to kick it up a notch for a spring afternoon tea party then, you could print a little menu and place one at each table setting. If you are creating a tea party for little girls then the menu could contain pictures of the food (if they can’t yet read) and maybe a favorite character. 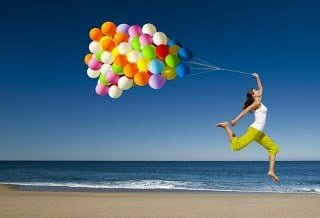 In this case, clip art is your friend. One of things that I learned during my visits to London is that the English take their service ware quite seriously. 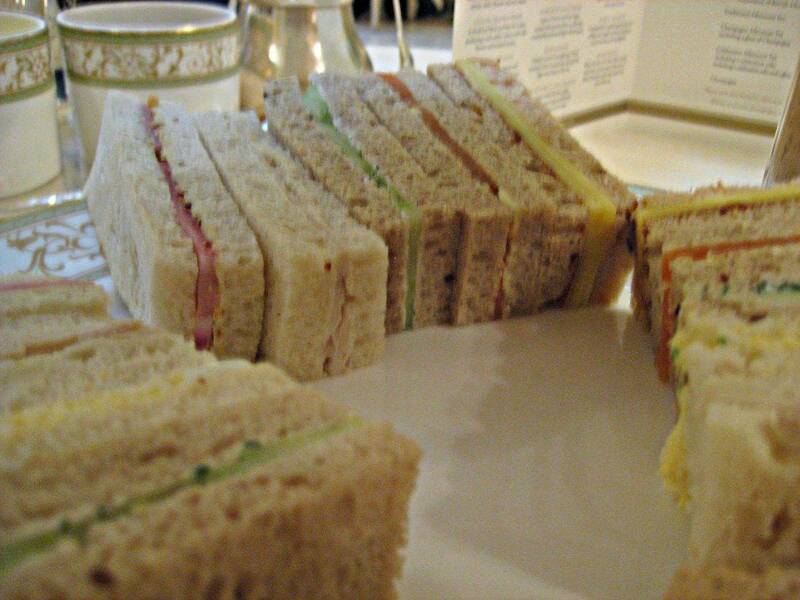 Well, at least if you going to have a “proper” afternoon tea. Just look at the image above. It is extensive. It is exquisite. While most of us may not be able to afford such an extensive set, if you want to have a tea party this spring just make sure that the plates and cups are nice. They don’t have to be expensive, but they should be chip-free. If you are planning a fancy tea party for the little woman or little women in your life (your daughters), then consider buying your china/tea set from the goodwill. I’ve seen every piece of serving ware that you can think of at the Goodwill. You will most likely have to buy your pieces a la carte and it is very likely that they will be mismatched. But, you know what? Your girl will feel special. She will feel like the little young lady that she is. It’s your tea party, so get whatever tea you like. Green, white, black, fruity teas…the possibilities are endless. 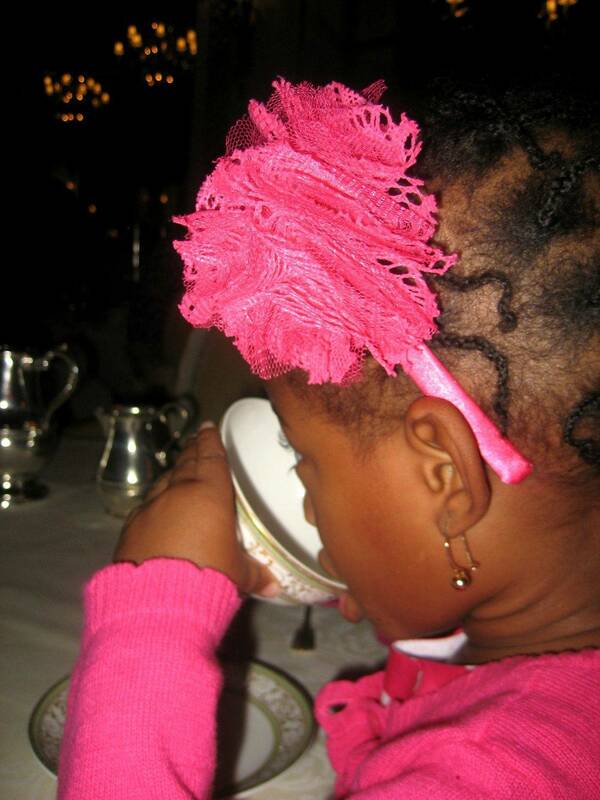 If you are throwing a party for the princess in your life use tea that is not hot. You could also serve iced tea or lemonade. You may even want to serve your own special blend chilled or let your daughter choose. Cucumber, egg salad, cheese, turkey and smoked salmon sandwiches are a great places to start. Just make sure that you take the time to cut the bread into neat rectangles and the crust has been removed. Play around with the types of breads and spreads to add variety. Now let’s be honest…raise your hand if you really enjoy tea. I think that we are a rare breed. But even for me, delectable sweets and pastries always make things more interesting. Cookies, cakes, tarts…whatever you like can make an appearance at your tea party. This is also an opportunity to add some color into your spring tea party. Think about toppings like fruit and colorful frosting. If baking is not “your thing”, feel free to outsource this one. And scones…I had to mention them with their warm, fluffy and delicious centers. 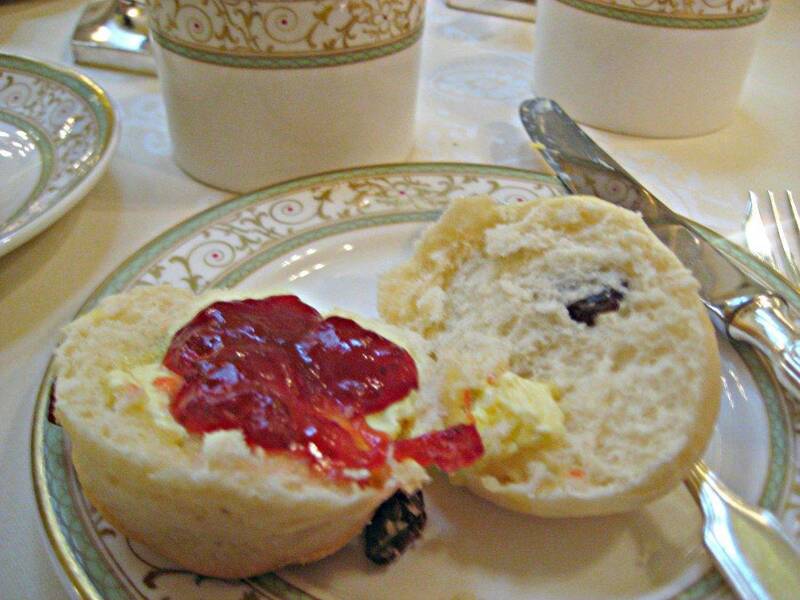 The one above was dressed with clotted cream and strawberry jam. Clotted cream can be hard to find in the US. Butter can be used as a substitute although, it is not anywhere as creamy. Certainly, one of the best things about having a tea party is getting dressed up. 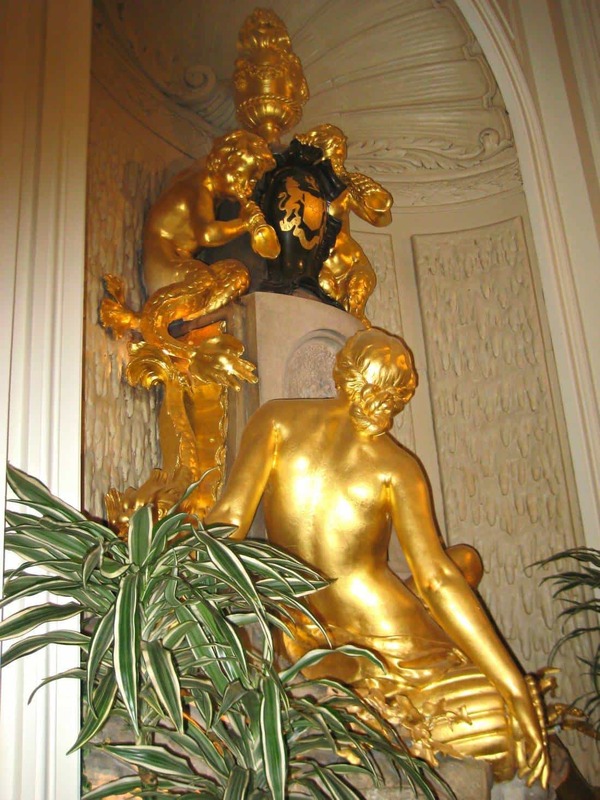 Whether you are in the intimacy of your home or at a hotel like the Ritz London, everyone should dress the part. So when do you plan to have your next tea party? I am thinking about hosting a tea party for young ones at our church this next year. This gives me some great ideas. I’d love to have you link this to Titus 2 Tuesday this week on Cornerstone Confessions.. I hope to see you there. Kathy, I think that the little ones will have a blast. BTW, love your site and the many resources that you have. Organizing is in your DNA for sure! I will take you up on the invitation. See you on Tuesday! Now that’s what I call a tea party!!!!! Love it! I fancy a tea party I must try this with my daughter she will love the idea and maybe I can organize a play date with her friends. thanks for sharing.